51.3% of all web traffic now originates from mobile devices. Mobile devices include tablets and smartphones of varying sizes. Desktops (including laptops and touchscreens) account for 48.7% of web traffic. 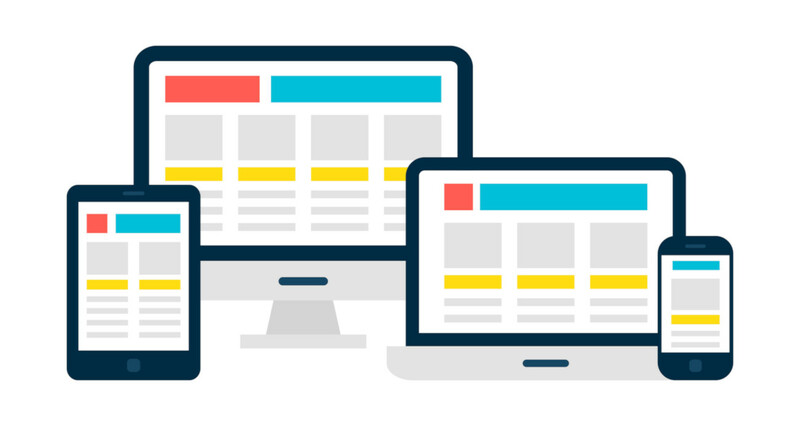 Like mobile devices, desktop screens come in a wide range of sizes. As such, web designers were once faced with the problem of how to optimise their websites across dozens of viewing environments. At one point a decade or so ago, webmasters had several versions of their pages online which were served to specific screen sizes of viewing devices. A top level domain extension, *.mobi, was even created for this. However, that solution ultimately proved unrealistic. Enter responsive web design. The responsive web design technology was first introduced in 2001 by digital marketing company Razorfish; it has since taken the world by storm. Using the concept of fluid grids and media queries, the responsive web design technology allows webpages to resize itself proportionally to fit into different viewing environments. No longer do we have to pinch webpages to view tiny texts, spend minutes searching for the ‘Next’ button, or subject our data plan to multi-MB images. Instead, layouts are changed, images are resized and text fits perfectly across the width and height of screens. Due to this, people are increasingly getting more comfortable surfing from their phones – unthinkable just a decade ago. Responsive web design is no longer an optional bonus feature – it is a crucial element of modern websites. However, many businesses remain unaware of this technology and the benefit it brings. Worse, a great many websites continue to operate without this life-changing technology. At Experienceinternet.co.uk, all of our websites are built with dynamic responsive design technology. We also offer conversion services for ancient websites that desperately needs a responsive solution. Great Scott! Give us a ring today and let us transport your legacy website to the future. © 2003-2017 experienceinternet.co.uk All rights reserved. Made In UK.